While some on all sides clamored for war, U.S. Secretary of State Hamilton Fish (pictured at left) kept a steady grip on the often hostile diplomatic dispute, and helped avoid a war. In a private letter to his son, Fish expressed his personal feelings: "I have thought of the tens of thousands of wives who might have been made widows, and of the hundreds of thousands of children who might have been made orphans, in an unnecessary war undertaken for a dishonest vessel. There is a national evil worse than war, but unless the national honor, or the national existence, require war" then the nation should do all that it can to avoid the terrible evil. That is what I have endeavored to do." After lots of posturing on all sides and back-and-forth negotiations, and once it had been legally established that the ship did, indeed, belong to the Cubans, the Virginius was returned to the U.S. on December 17, though not in ideal state for navigating the waters of the Atlantic Ocean. Bradford describes the condition of the ship at that time: "The Spaniards apparently had decided that while the Americans might recover the ship it would not be a clean one. Everything that was movable appeared to have been taken except for a half-dozen casks of water and 'a few vermin which haunted the mattresses and cushions in the cabin.' A foul stench came from the forecastle and below the hatches. Decks were caked with dirt and excrement, mold and decomposition. As the men wandered over the ship looking for trophies they turned up only a bayonet, drill, and chart." 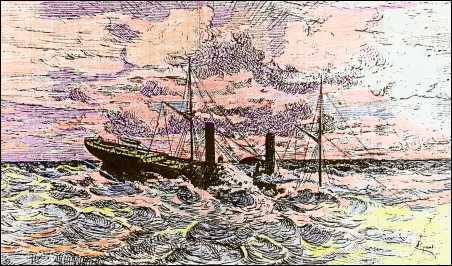 Overrun by cockroaches and all forms of decay, the Virginius was allowed to sink in the Atlantic on December 26, 1873, near Cape Hatteras. “It took more than a year before a final settlement of the Virginius dispute was reached,” wrote Foner, “Spain, having admitted the illegality of the capture and the wrongfulness of the executions, agreed on March 2, 1875 to pay an indemnity of $80,000 to cover all the claims of the United States. Spain paid the indemnity some time in advance of the date required, a fact which Fish acknowledged as ‘evidence of friendly dispositions, and strengthens hope of speedy adjustment of all outstanding questions.’ But neither Cuban independence nor the continuation of slavery in Cuba was included among the ‘outstanding questions’ to be adjusted. 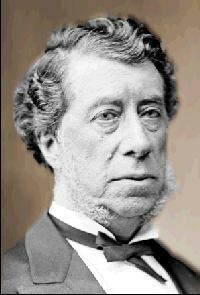 (Foner) A settlement was also reached with the British government. Now all that remained, from the point of view of the Americans, was to find a proper punishment for General Juan B. Burriel, commander of the Spanish troops in Santiago, and the man said to be responsible for the executions. But the new Spanish monarchy dragged its feet making a legal case, and General Burriel died in his home on December 24, 1875.